Travelling to Seoul? A new tour service lets customers go on a Korean beauty tour with a local female friend. Following the success of its "rent an oppa" service, the people behind Oh My Oppa launched a new service, this time providing their customers with a unique experience with an "unnie." "Unnie" is a term Korean women use to call females older than them. It is similar to the Filipino "ate" or "sister" in English. The idea came to mind after customers started looking for guides they can do some beauty-related activities with. "It would be more certain that we got an idea of hiring female guide from customers who wanted to do some 'girl thing' with Korean local friend," Hyunjung Roh said via email. Screen grab of Oh My Oppa's Instagram page. Activities customers can do with their chosen unnies include shopping for beauty products and clothes, as well as getting beauty treatments. Customers can also ask their unnies for advice on how to pull off Korean fashion items. 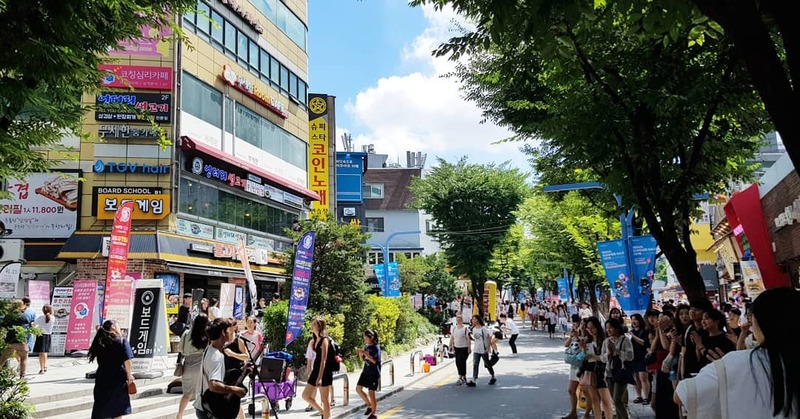 "There were some customers who wanted to go shopping, get beauty treatments and get advice about Korean fashion and cosmetics from local 'female' friends," Roh added. The highlight of the unnie service is the two-and-a-half-hour tour of Myeongdong, a popular shopping district in Seoul. Here, tourists can enjoy various kinds of street food while looking at beauty products and stylish clothes. Screen grab of Oh My Oppa's official website. Those who are not that interested in beauty or fashion can also ask their chosen unnie to go with them to the usual tourist destinations also offered through the Oh My Oppa service. Among the popular destinations offered by the website are tours of Bukchon Hanok Village, Ikseondong, Kyeongbok Palace, and Gwangjang Food Market, among others. Customers can also decide on their own destination. The Oh My Unnie service was launched on March 22, and according to Roh, they are still in the process of recruiting more unnies for their clients. At present, there is only one available unnie, Jane. According to her profile, Jane speaks English and Chinese, aside from Korean. Roh also said the company is cooking up another new "buy for you" service for Korean beauty junkies. Tour rates start at $70 for two-and-a-half hours. Visit Oh My Oppa's official website for more details. It's been almost ten years since I fell in love with everything Korean. Fresh out of college, one of my first jobs is to teach English to Koreans. At first, I told myself that I wouldn't be too involved with the culture. I was studying for my Master's degree at that time and even when I started to fall in love with Korea, I consciously rejected the idea of shifting out of my major (Southeast Asia) to Korean studies. My love for Korea started when a student taught me how to read and write in Korean. Being a history and culture buff, I started falling in love with everything about South Korea with every letter and word I learn from my "teacher." I started listening to K-pop, and then I started watching Korean dramas. I started eating Korean food and even ~daydreamed~ of having a Korean boyfriend. Last month, BIGBANG's GDragon ang Taeyang visited Manila for a concert. This time it's their maknae, Seungri, who visited the Philippines with his Natural High Record DJs Danu, Glory and TPA. Seungri and the rest of the gang first performed in Boracay last October 6, then they set Valkyrie Nightclub in Manila on fire on October 7. I love BIGBANG but Seungri has always been my bias, so I couldn't let this pass. It was fine to miss both GDragon's and Taeyang's concert, but I had to see Seungri again. And it was the best decision ever. Aside from being so close to Seungri, the best part of my night was when I got a shirt from NHR. Today is happy days for all fans of Korean boy group BIGBANG. On Instagram, Taeyang, or Dong Young-bae, confirmed reports that he will be marrying his girlfriend of four years, actress Min Hyo-rin. "Today, I want to share with you guys about the most important and joyful promise I have made in my life. I have pledged to spend the rest of my life with Min Hyorin, the one who has always stuck by me for the past four years," he wrote. Taeyang also thanked all his supporters and hoped for their continuous support. "To all the fans who always treated me as if I was family, to all of my Big Bang members, to all of my YG family, to everyone I’ve ever had the pleasure to work with and meet, I want to say THANK YOU. I will continue to live my life with responsibility and humility. My hope is that you will continue to support us and give your blessings for our future ahead as a couple."